The Kaleva Incident and the Death of Henry Antheil, Jr. 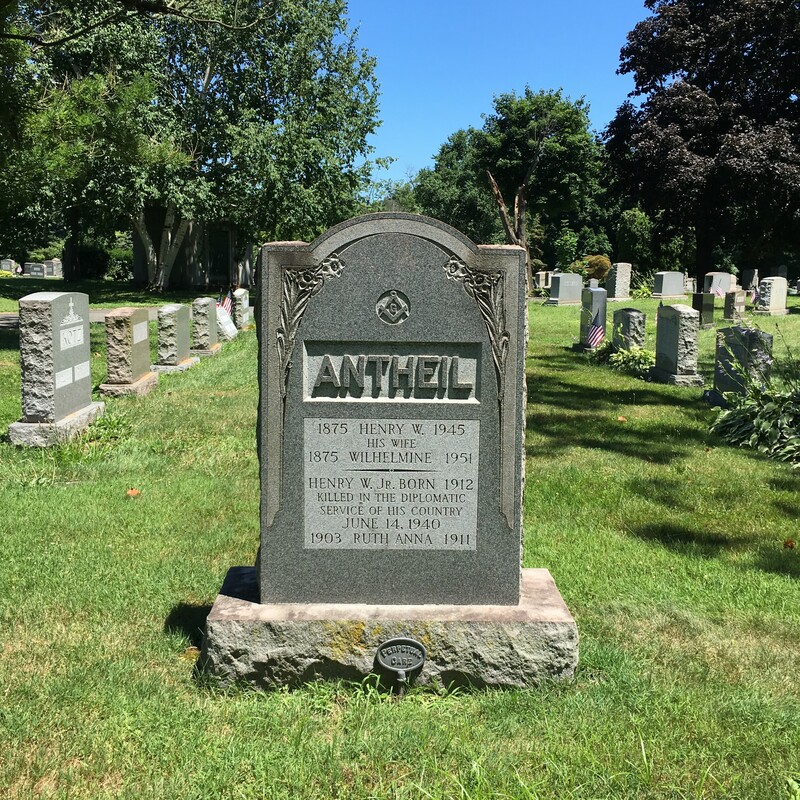 The name Henry Antheil, Jr, is on a tombstone in Riverview Cemetery, but he is not buried there. 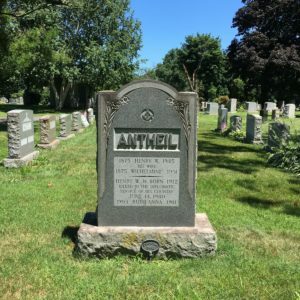 Henry, the younger brother of avant-garde composer George Antheil, was a Trenton, New Jersey native who joined the U.S. Foreign service as a cipher clerk and was posted in Helsinki, Finland, at the beginning of World War II. Henry Antheil, Jr., could be considered an early American casualty of both World War II and the Cold War.